In August 2014, Islamic State militants seemed poised to seize Amerli, a Shia Turkmen town in northern Iraq. Had they done so, there’s little question the result would have been mass slaughter—just like happened when the Islamists captured the Kurdish Yezidi town of Sinjar. A force of Shia Arab militiamen from southern Iraq came to the town’s rescue, holding off the Sunni militants until American air strikes zeroed in. Soon Kurdish peshmerga fighters also arrived, and together the Shias and Kurds drove back Islamic State. But the battle had a troubling epilogue. Many Sunni Turkmen fled Amerli. And the Shia militia ransacked and burned Sunni homes in nearby villages. There were also reports of Sunni Arabs and Turkmen in surrounding villages being abducted, likely by Shia militiamen. The sectarian militias are backed by the Iranians, endorsed by the government in Baghdad and, for now, tolerated by the Americans. But recent events could change all that. In October 2017, Shia militias attacked the Kurdish-controlled city of Kirkuk in northern Iraq. The assault on the oil-rich city risked sparking a civil war inside of Iraq’s effort to defeat Islamic State. Peshmerga forces largely cooperated with the Shia paramilitary groups against their common foe. But by 2014, some Kurdish commanders were growing uncomfortable with the militias’ shady tactics. And that was before the Shia militiamen reportedly barred peshmerga from entering Amerli. One frustrated peshmerga commander derisively called the militias the “Shia Islamic State” while talking to a Reuters reporter. The peshmerga had good reason to be wary of their erstwhile allies. The Shia militias had earned a reputation for special ruthlessness. When the United States invaded Iraq in 2003, ousting Sunni leader Saddam Hussein, many of Iraq’s majority Shia were happy to see him go. Though the country’s future was far from certain, many Shia were excited at the prospect of greater representation in the government. But the excitement was short-lived as many former members of the disbanded Iraqi army—out of work and resentful of the invaders—launched a Sunni-led insurgency. Then in August 2004, the radical Shia cleric Moqtada Al Sadr launched his own uprising in the city of Najaf, targeting the American led-coalition and the fledgling Iraqi government. Al Sadr is the son of a revered cleric and the founder of the Mahdi Army, a Shia sectarian militia. The insurgency was now no longer strictly Sunni. The uprising was, in part, a reaction to an attempt by coalition authorities to ban a newspaper Al Sadr and his followers were publishing. The Americans feared the cleric was using the paper to promote a sectarian agenda that threatened the reconstruction and reconciliation process. Coalition and Iraqi troops moved into the city. They killed 159 Mahdi fighters and captured 261. Thirteen American and 40 Iraqi troops died in the battle. By September 2004, the coalition and Al Sadr reached a ceasefire agreement, ending the battle. But the Mahdi Army didn’t disarm—and certainly didn’t go away. Many went to Baghdad’s Sadr City—a Shia slum neighborhood—to continue guerrilla operations against the Americans. 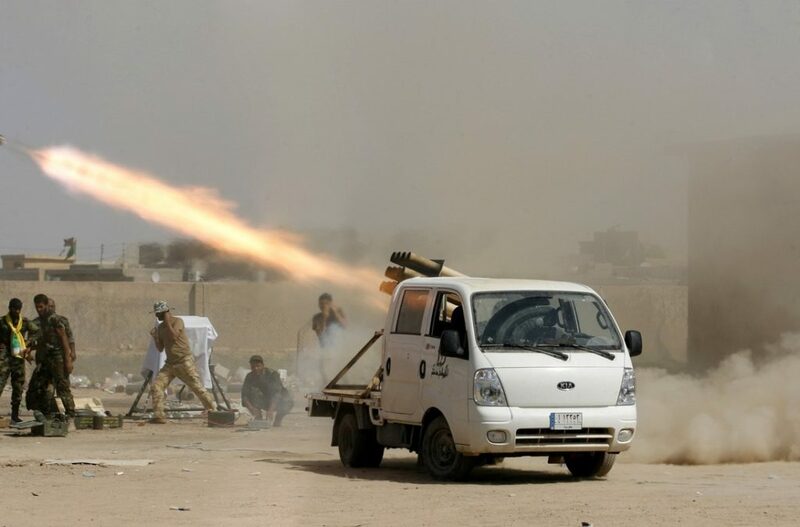 Other Mahdi Army and affiliated Shia fighters began intensifying operations against British forces in southern cities such as Basra. The Iranian Revolutionary Guard Corps actively supported these efforts. During the 2005 Iraqi elections, Al Sadr backed several hardline Shia candidates, many of whom got elected and attained high positions in the Iraqi National Assembly and in provincial governments. They would become known as the Sadrist bloc. The Sadrists promoted policies that favored the country’s Shia majority, while also being notoriously anti-Sunni. At this time, Sadrists also began infiltrating the Iraqi security forces, particularly the police, and also various ministries. By the time the Sunni militant group Al Qaeda in Iraq bombed the ancient Golden Mosque—one of Shia Islams’ holiest sites—in 2006, there were Sadrists at every level of the Iraqi government. The bombing escalated what some had downplayed as mere “sectarian tensions” into a full-blown civil war. The Sadrists wanted blood. A wave of sectarian killings washed over the country. Mahdi militiamen wantonly abducted Sunnis off the street in broad daylight, summarily executing entire families. The police—overwhelmingly Shias themselves—often looked the other way, forcing American and British troops to try to find kidnapped people. 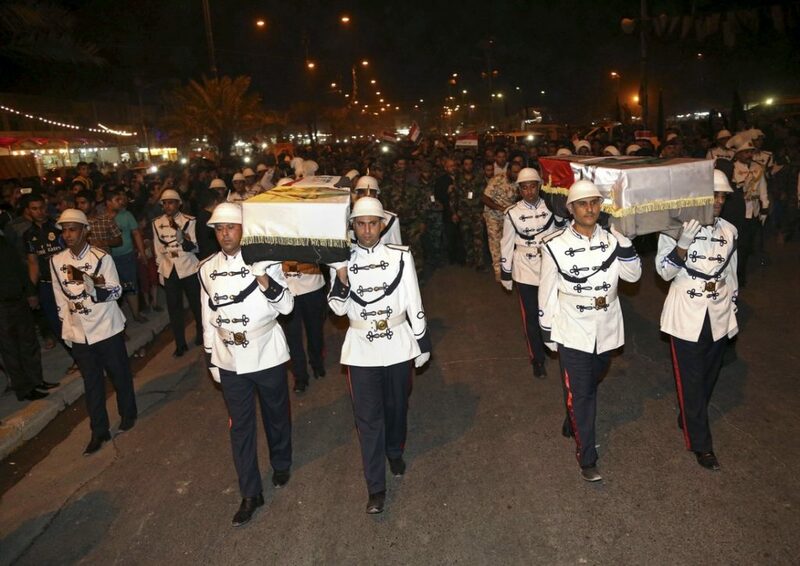 Sunni militants fought back by intensifying their bombings and assassinations. One of the most disturbing aspects was the presence of Shia death squads loyal to Al Sadr operating within the security forces. At night, police would often pick up Sunnis, saying they were taking them in for questioning. But they would never arrive at the station. When families asked about their loved ones, police would deny knowing anything. The victims’ bodies often turned in a river or some alleyway. Bodies piled up on the streets. Shia militiamen began getting involved in rackets and demanding protection fees. Thuggery became the norm. Now the Shia fighters were even robbing fellow Shia. At the same time, the Al Qaeda operatives’ own brutality in the west was turning Sunnis against them. It was this bloodbath that the Pentagon’s surge campaign in 2007 was meant to stop. The goal was to clamp down on the violence, protect civilians and give Iraqi leaders some room to settle their differences. The surge saw the fiercest fighting for coalition forces since the invasion. Nearly 900 Americans died in 2007. But far fewer Iraqi civilians died. A separate coalition effort rooted out Shia militia members and death squads from the Iraqi security apparatus. In 2008, coalition and Iraqi forces launched a major crackdown on the militias, the Mahdi Army in particular. Eventually Al Sadr reached an understanding with the Iraqi government and in August 2008 he ordered the Mahdi Army to disband. But by November 2008, he had unveiled his new militias, the Promised Day Brigades. Basically, a rebranded Mahdi Army. But its members insisted they represented a kinder, gentler sectarian militia. Despite Al Sadr’s antics, the overall trends seemed positive. As security improved, markets reopened and Sunni and Shia friends and neighbors reunited. The Sunni tribes in the north seemed ready to negotiate with the Shia politicians in Baghdad. It appeared the worst was over. The surge failed. No doubt it was a stunning military achievement—it successfully squashed Al Qaeda in Iraq and forced the Shia militias to the negotiating table. But the surge didn’t achieve any of its political goals. Thousands of American and Iraqi troops died achieving the security that should have allowed Sunni and Shia leaders to settle their differences. Iraqi politicians squandered the opportunity. Shia prime minister Nouri Al Maliki continued the same sectarian policies that had embittered northern Sunnis in the first place. He flatly rejected overtures by former Sunni fighters who had turned against Al Qaeda during the Anbar Awakening. The Sadrist bloc in the National Assembly extended sectarian policies that marginalized northerners. When Islamic State—including many former members of Al Qaeda in Iraq—moved into Al Anbar province from Syria, some Sunni militias that had participated in the Anbar Awakening fought back. They begged Baghdad for help. The response was ambivalent. The government sent just a few reinforcements. 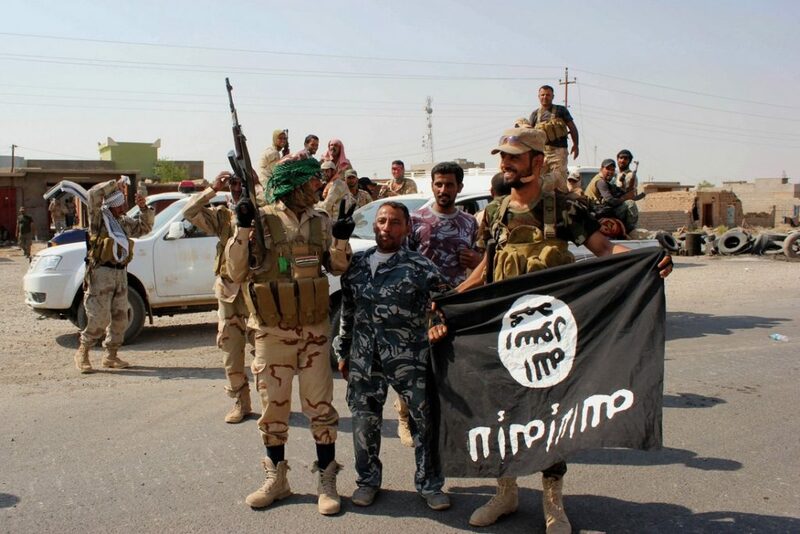 Islamic State was able to capture Al Anbar’s major city Fallujah. Sunnis overwhelmingly decided once again that the Shia-dominated Iraqi government was untrustworthy. Sunni tribal fighters for the most part stopped fighting Islamic State. In fact, many Sunni fighters decided to join the Islamists, having decided that they had more in common with the militants than they did with the mostly Shia Iraqi army. In June 2014, Islamic State marched on Mosul, Iraq’s second-largest and most diverse city. The Iraqi army crumbled. Many commanders fled before the fighting even started. When Iraqi soldiers realized that their leaders had deserted them, they panicked. Many abandoned their uniforms and equipment and tried to flee south. Islamic State captured and executed thousands of them. The collapse terrified many Shia leaders in the south. But for Al Sadr, it was a chance to reassert himself. He proclaimed his followers would “shake the ground” as they fought back. Not long after the fall of Mosul, Shia militiamen marched through Sadr City. Once again, they flew the banner of the Mahdi Army. The militias were back in a whole new way, re-energized for a new war. Among them were many Iraqi army deserters, some of whom survived Mosul. Others simply left the army, saying they want to fight against Islamic State, but that they don’t trust Iraqi army generals. They said they had more faith in militia leaders. The desperate government gave the militias free rein. Militia volunteers began marching north on Iraqi army supply routes, fighting along the way. They also began patrolling cities in the south. In August 2014, someone murdered 29 women at a brothel in Baghdad. People in the neighborhood say they suspect hardline Shia militias. 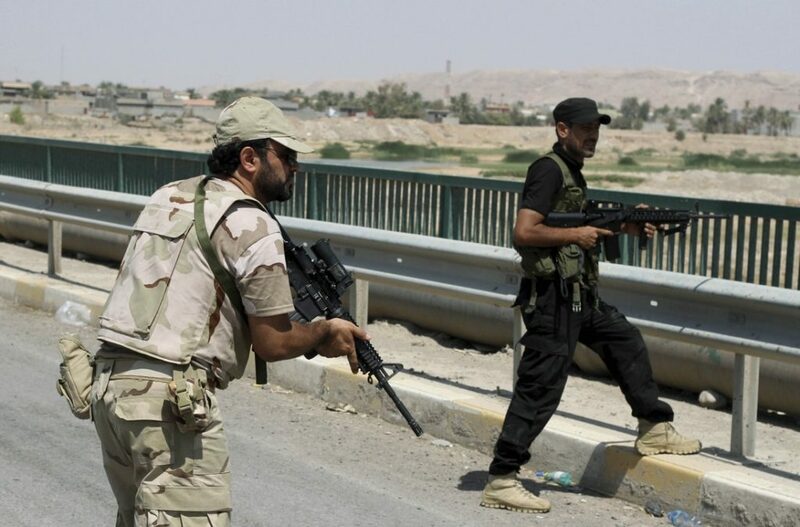 Sunnis in Baghdad reported harassment by the militias, as well as kidnappings and disappearances. Although the militias initially had a working—if incredibly strained—relationship with the Peshmerga in the north, they soon began targeting Kurds in the south. Militiamen beat up and threatened Kurdish college students at southern Iraqi universities. Many Kurdish students were afraid to go to Baghdad to finish their exams. The battle in Amerli marked a turning point. U.S. air strikes in direct support of the Shia militias—America’s former enemies—granted the militias more legitimacy than they ever could have hoped for during peacetime. Much to the Americans’ chagrin. But they also threatened to undermine Iraq’s political development. As they harassed Kurds and kidnapped Sunnis, the militias further fueled Iraq’s fundamental conflict. And that was before the Shias attacked Kirkuk. More than one Peshmerga officer told War Is Boring that moderate Sunni Arabs are critical to defeating Islamic State. But it’s been problematic convincing Sunnis to turn against Islamic State when the alternative is another hardline militia—a Shia one. And doubly hard when the Shias are now actively attacking the Kurds in a key, oil-rich city.